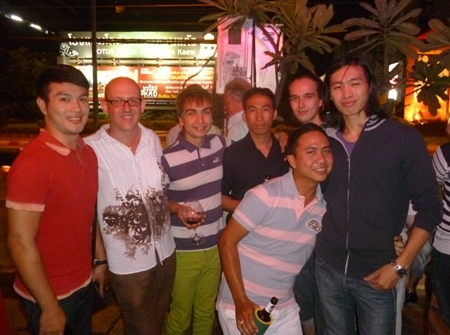 Wouter Van der Stichel (second left) and Rustam Sibagatov (2nd right) jointly celebrated their birthdays at Soho Bar and Guesthouse on Huay Kaew Road on September 15, 2012. A small delegation of 5 members of Samma Kom Phuenthai German International organization and Thailandfreunde e.V. Germany recently visited the European Parliament in Strassbourg, France. The group had an invitation of the Vice President of the Department for Labor and Social Affairs of the European parliament, Dr. Thomas Mann MEP, a member of the EVP-ED Faction for the German city of Frankfurt/Main in the province of Hessen. 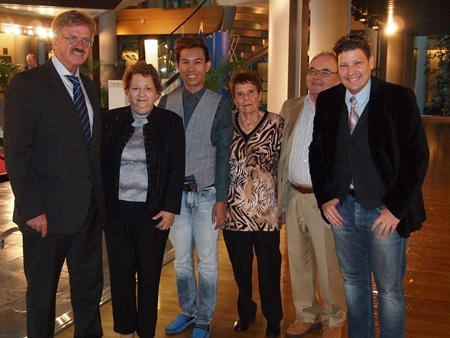 The European parliament permanent secretary of Vice President Thomas Mann MEP with Johnny Aka Kumar and the Thailand delegation Janet S. Henry, Wuttipong “Bobby” Khotbuntao and Dirk Weeber Arayatumsopon PhD. From Germany Helga Loevenich and Karl-Dietrich Volkart. 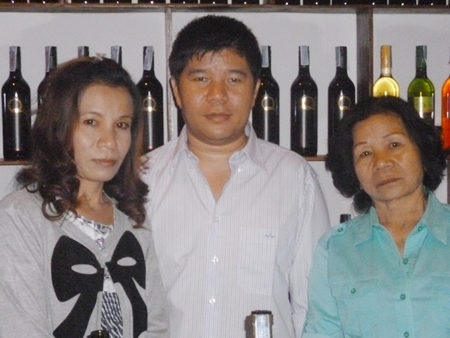 Yotsaphon “Glid” Saokaew (center) of the Wine Shoppe next to Tops on Chang Puak held an open house and wine tasting party on Saturday, September 15 here is joined by his mother and sister at the opening. M.L. 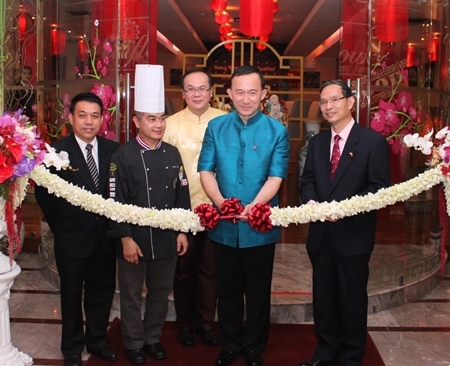 Panadda Diskul, Governor of Chiang Mai (2nd from right) presided over the opening ceremony of the “Hong Kong Food Festival” by Chef, Peter Lai; Executive Chef of Centara Hotel & Convention Centre Udon Thani (2nd from left) at Sunflower Chinese Restaurant on the24th floor of the Centara Duangtawan Hotel, Chiang Mai. He was joined by Zhang Weicai ; the Chinese Consul General (far right),Wiwat Pongruangkiet, Vice President of the Chiang Mai Chamber of Commerce (far left), Boonchai Suwatsakulsawasd, the General Manager of Centara Duangtawan Hotel, Chiang Mai (3rd left). Absolute Boot Camp fitness team held a staff meeting at the beautiful Mae Nai Gardens Resort recently. Here, Michelle Ring (front left) discusses the organizations methods and philosophy in helping people get in to shape and living healthy lifestyles.